The word ‘pure’ is a promise of authentic quality to the industry from SRK. It reflects the trust in genuine trade relationships built over decades. The word ‘light’ is a promise of the right direction towards society. It reflects the knowledge that is key to dharma (duty) of SRK towards the world. true value of a diamond. The system is so refined that objectivity truly wins over subjectivity. evidently going beyond the current industry standards of 4C evaluation. 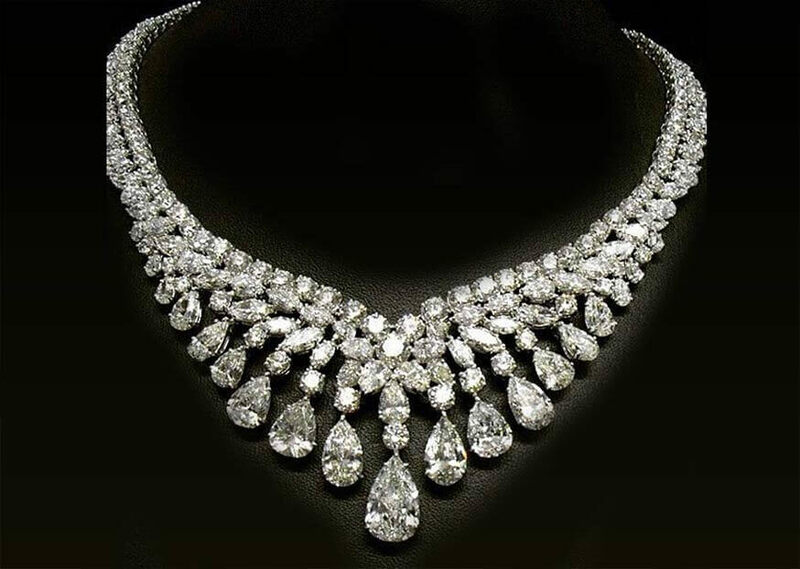 cutting any shape of a diamond to an nth degree of perfection, restoring life to a stone. SRK is the most technologically advanced diamond manufacturer in the world. It has embraced science and technology to further its quest to blend quality and scale. 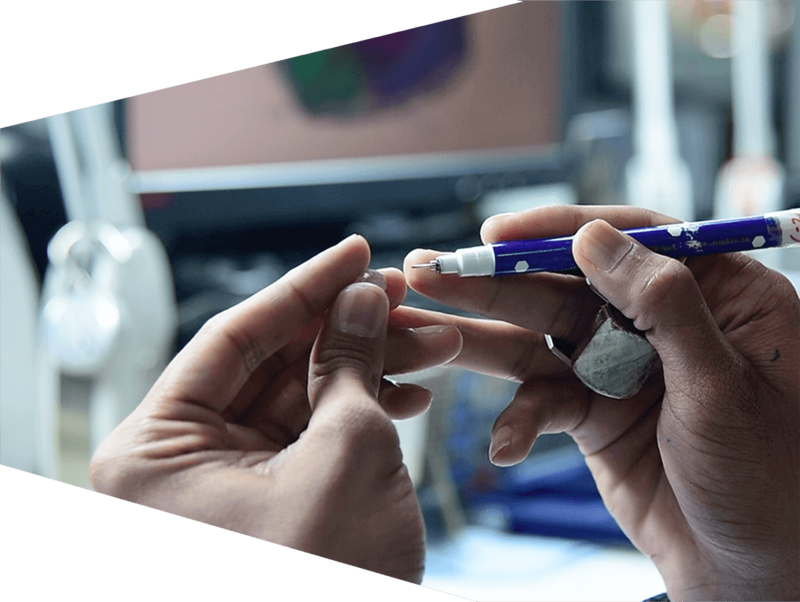 Infused with actionable vision, automated systems and clear processes, its capacity to handle scale proves that diamond manufacturing is as much science as it is art. Luxury is a desirable quality and SRK, being the masters of luxury, is connected to the minds of consumers. A true luxury brand, such as SRK, on one hand understands the needs and requirements and on the other captures the emotional drivers of consumers. 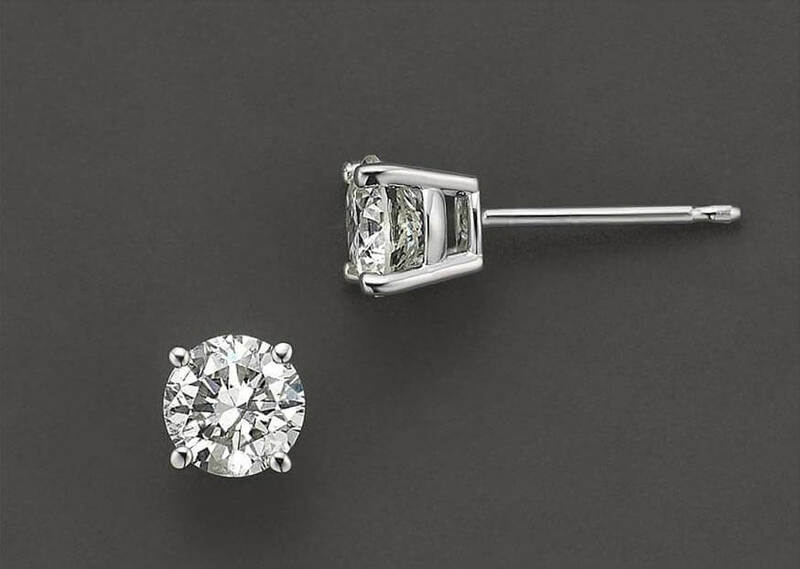 Our jewelers are masters in turning inspiration into objects of desire. The power of giving is greater than the desire to keep something for one’s own self. Great purpose starts with oneself first being humble, then having a desire for the welfare of the employees, and ultimately working for the welfare of the society at large. Generosity served with love can lead a child towards knowledge, the needy towards optimism, a community towards values and the world towards enlightenment. SRK Team enjoyed their 15th Cricket League in the first week of January. Professor (Dr.) Partha Dasgupta, Frank Ramsey Professor Emeritus of Economics, spoke about 'Human Well-Being and Economic Accounting' at the Third Annual IIMA-SRK Lecture Series held at IIM campus, Ahmedabad. The former Chairman Emeritus of the Tata group, Shri Ratan Tata visited us at ‘SRK Empire’. During the SantokBaa Humanitarian Award function, he had promised his visit to SRK, and thus he duly fulfilled it. During his visit, he closely observed diamond processing technologies and conveyed compliments to SRK team. SRK family moved to a new office location CC-6055, Bharat Diamond Bourse on May 16 2018, with a promise to continue serving our customers in the same friendly manner as before, along with more value-added services. The President of India, Shri Ram Nath Kovind visited us during our SantokBaa Humanitarian Award function of 2018. “SRK Empire” becomes the first manufacturing unit in India to get recognized with the highest rating level of “Platinum” by United States Green Building Council (USGBC). SRK family celebrated the 10th anniversary of the inception of SRK's Digital eco-system. Our Shri Govind kaka enlightened the audience with his insights at the ‘Launch of Marriage Portal for People Living with HIV’ at IIM- Ahmedabad. The Second lecture of the Annual IIMA-SRK Lecture Series was successfully held in IIM campus, Ahmedabad. American Economist and Noble Laureate (2007),Eric S. Maskin delivered a lecture on ‘Introduction to Mechanism Design Theory’. SRK gets an image makeover and a fresh brand identity. SRK Team was conferred with JNA Award for “e-Supplier of the Year” by UBM Asia. SRK Re-launched its Brand Identity, Corporate Identity and launched New generation of website - which is more like a Platform to Enable customers to get maximum benefits. SRK Team was conferred with JNA Awards for “Manufacturer of the Year - Cutting & Polishing”, and “Outstanding Enterprise of the Year – India” by UBM Asia. SRK Team was conferred with JNA Awards for “3 Decades of Excellence”, “Industry Innovation of the Year”, and “Outstanding Enterprise of the Year – India” by UBM Asia. SRK Group Chairman Govind Dholakia addressed 100 scientists from ISRO. The Shree Ramkrishna Research & Knowledge Institute of Diamond (SRKID) was declared as the only authorized institute for vocational training in Gems and Jewelry Industry by the Government of Gujarat state. SRK Team was conferred with JNA Awards for “Manufacturer of the Year – Diamond Cutting & Polishing” and “Sustainability Initiative of the year" by UBM Asia. Our Shri Govind kaka won the “Life Time Achievement Award – Manufacturing” by Retail Jeweller Magazine 2014 for his contribution towards Global Diamond Industry. Shri Govind kaka was presented with “Sarin - Life Time Achievement Award 2014” for his inestimable Contribution towards Diamond industry. SRK Team won awards for categories- “Most Socially Responsible Company” and “Exporter of the Year” at the India Gem & Jewellery Awards (ICJA) by GJEPC. SRK obtained Alrosa Alliance on meeting high standards of business conduct and for possessing a keen insight into the diamond market. SRK Team was conferred with the JNA Awards for “Employer of the Year”, “Manufacturer of the Year – Diamond Cutting & Polishing” and “Sustainability Initiative of the Year” by UBM Asia. SRK received recognition by FedEx International Business League (IBL) for ‘Outstanding Entrepreneurship’. SRK developed an in-house research and development center (SRKID) to cater to its increasing need for trained and skilled artisans. Govind Dholakia took SRK to greater heights by inaugurating one of the largest factories — ‘SRK Empire’ — in the industry with the latest technology and machinery. 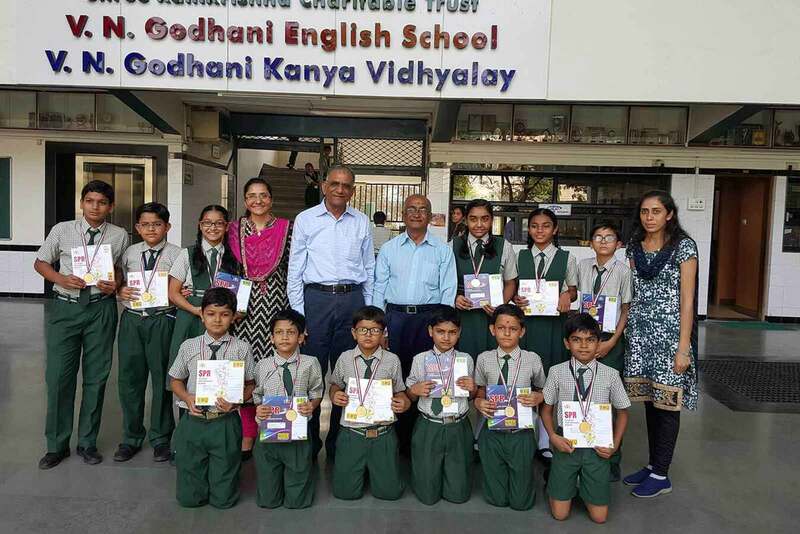 Govind Dholakia expanded and diversified into the jewelry segment and he set up Jewel Goldi — a jewelry manufacturing unit in SEEPZ, Mumbai — to cater to international clientele. Govind Dholakia redeveloped the factory into a three-storey building and upgraded the technology with laser machines and computer-based management systems. The factory accommodated 1200 craftsperson and 500 staff members. 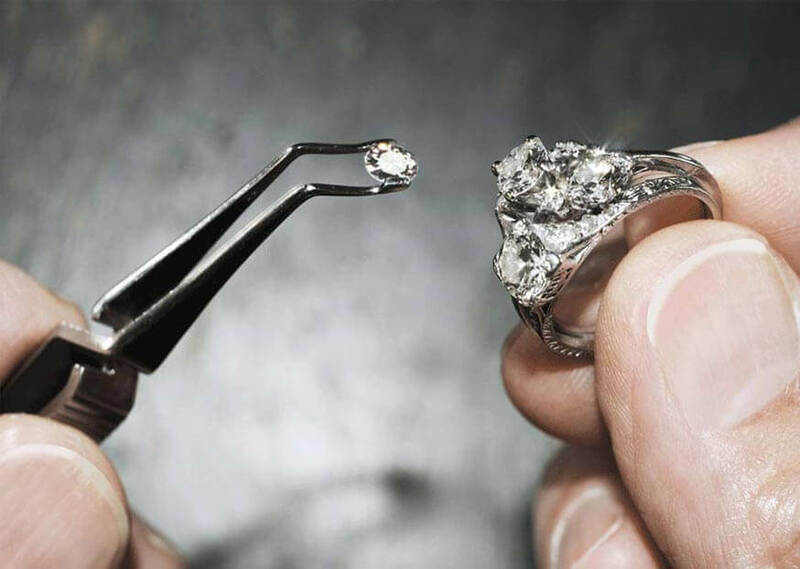 All partners decided to diversify and set up their own diamond manufacturing firms. Along with his partners, he built a factory with necessary machinery and desirable work conditions. Business continued to flourish with the hard work and efficiency of all the partners. Govind Dholakia went on a business trip to Antwerp for the first time ever. This opened new avenues of business for him and his company grew and made a profit of Rs. 9 lakhs. A few years later he set up the company along with two partners. This company has flourished and developed into an enviable diamond manufacturing business today. A 13-year old boy started his journey barefooted from a small village of Saurashtra, Gujarat, as an apprentice to a diamond cutter. SRK has been an epitome of trust in the diamond industry for over five decades. We have mastered all aspects of diamond manufacturing — supply (accessibility through trade relations), manufacturing (scalability through automation), quality (reliability through training), enterprise (inventory through technology) and sustainability (responsibility through knowledge). The brand SRK has a new logo. The letters S, R and K are integrated into a symmetric form — a diamond on a pedestal. The pedestal upholds the diamond reflecting SRK’s stature and credibility in the industry. The new identity is crafted to symbolize simplicity and transparency, exactly as the brand SRK is and should be perceived in the minds of its stakeholders.